New! 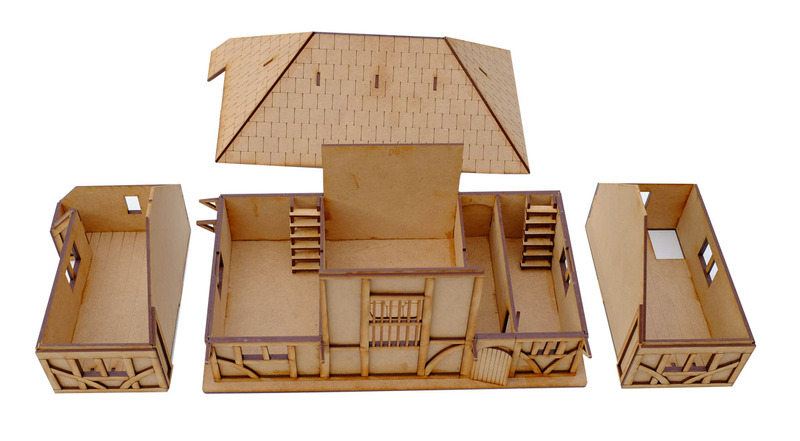 Our 28mm Wealdon house kit. 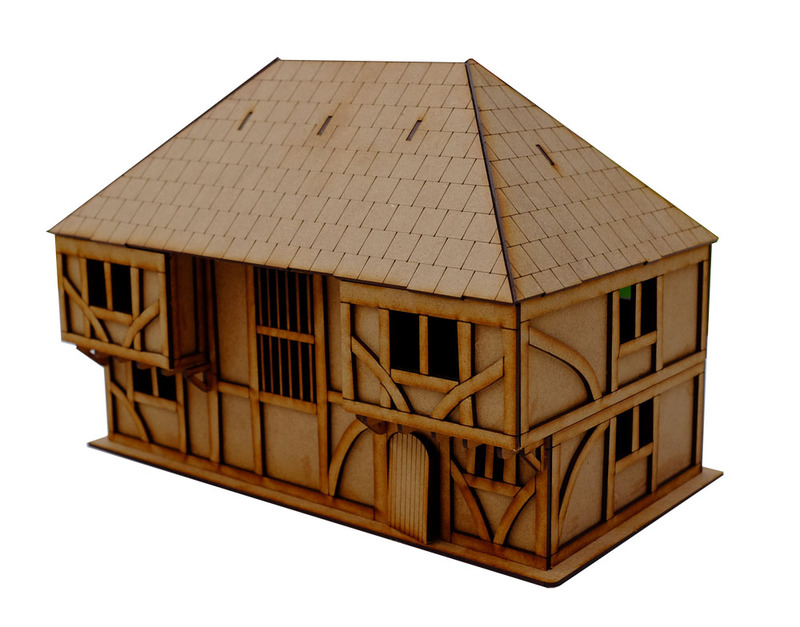 The kit is a detailed and accurate model of an early medieval Wealdon house. 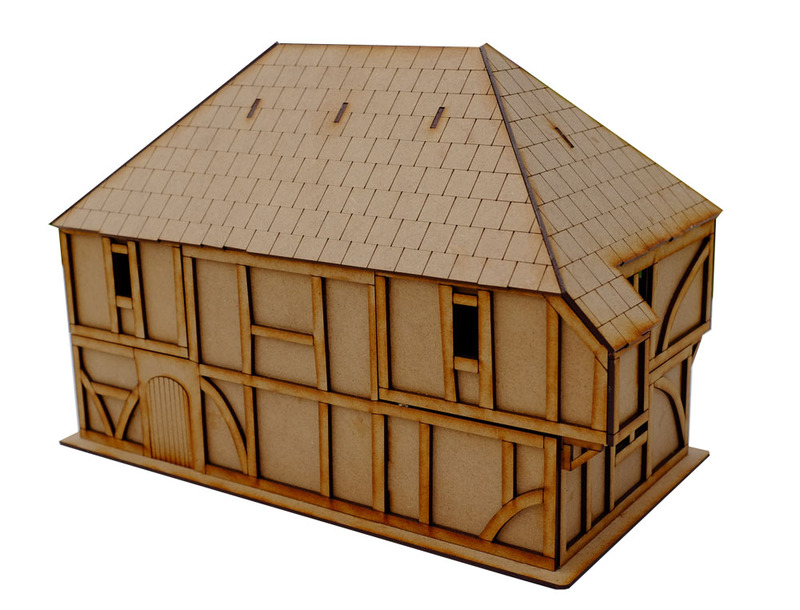 This useful model is suitable for many game systems and was built from the late 1300's to the late 1500's. There are still a number standing, mainly in Kent. This early example has a central hearth and no chimney. 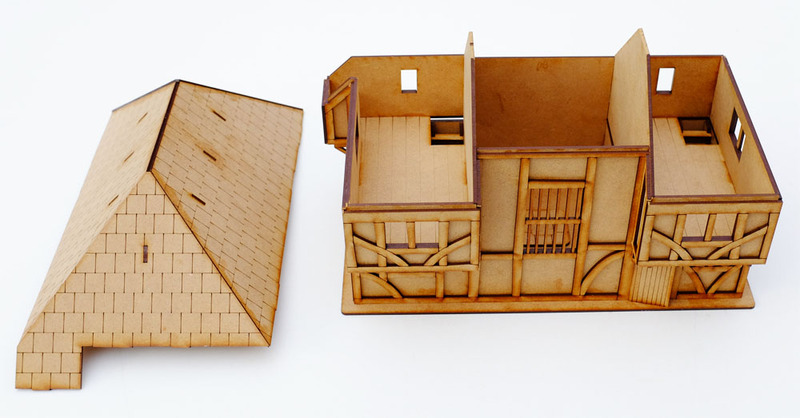 The kit comes complete with timber framework, hipped slate roof, garderobe (loo! ), and two staircases. The roof is removable and the two upper wings of the building can be removed giving full access to the lower rooms. The kit measures 24mm x 144mm x 173mm high. The kit requires assembly and painting.